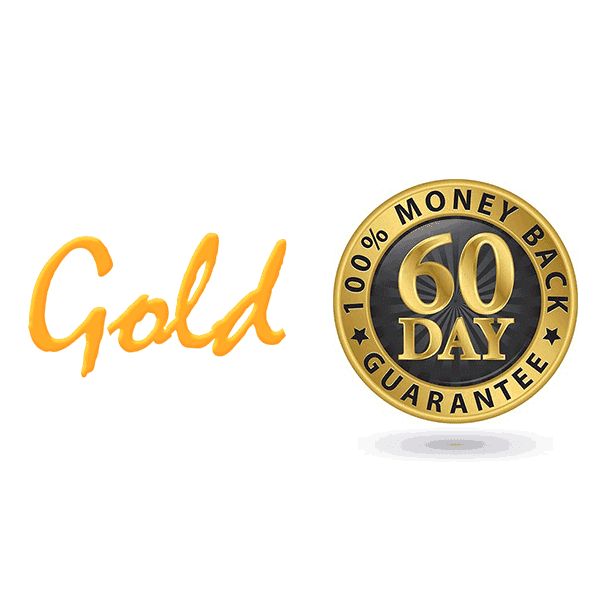 Gold is your fast-track to complete Spanish Fluency and Confidence! Includes worksheets for all 54 audios for Gold Seasons 1 and 2, each with the full Spanish transcript, key vocab and grammar list, and useful exercises. Instant digital access and Full 60 Day Money-Back Guarantee! These worksheets will make ALL the difference to how much you get from these audios. ¡A Por Ello! – Go For It! Get Fluent Fast! I’m sold on gold!!! … I decided to give it a try since I have been so pleased with everything I have gotten from Notes in Spanish. The audio is a bit challenging for me, but having the worksheet makes it possible for me to follow along. I believe that these materials are really going to help me build my Spanish skills. I’m very excited about this. Great job Ben & Marina!! Fenomenal! Me encanta. Un buen desarrollo!. For me as borderline intermediate/advanced – I can understand quite a bit – but there are some challenging sections to work on! Great vocabulary and interesting subject material. The Gold audios helped me improve my spoken Spanish from a C grade at AS-level to an A* at A2-level back in 2014. So when I started my degree I bought the Gold pack to support Ben and Marina and the amazing work they do! The worksheets were super helpful and definitely added to the podcasts I’d been listening to for so long. Llevo 6,5 años escuchando los podcasts Notes in Spanish – gracias Ben y Marina por todo lo que hacéis ? I can thoroughly recommend these excellent conversational Spanish podcasts, and it’s great to hear Ben and Marina chatting about everyday things. The worksheets are super helpful, particularly if, like me, your level of Spanish is lower-intermediate. The Q&A sessions are good fun too. I have used all the learning materials from Notes in Spanish and they’re the best ever at helping me learn to speak and understand Spanish. My absolute favorite is the Gold series because of the analysis that follows each conversation. It’s a wonderful way to review what you’ve just heard and clear up any questions you had as you were listening. I just wish there was a Gold series 3! I totally recommend all the Notes in Spanish audios and accompanying worksheets. They’ve made a huge difference in my Spanish! Thank you, Ben and Marina!! Great materials to go with the really interesting and challenging Audios. Great product. Very helpful in keeping my Spanish skills sharp. The two Gold series – both season 1 and season 2 – are my favorites in NIS and I recommend them enthusiastically. What makes them so wonderful is not only the additional “analysis” part at the end of each audio (which is surprisingly helpful), but also – or mainly – the wide variety of super interesting subject-matters discussed in the natural, lively, intimate, intelligent and funny style which is the trade mark of Marina and Ben. The two Gold seasons show Marina and Ben at their best, and they lifted my Spanish vocabulary to a totally different level. I still listen to some of my favourites from Gold 1 and 2 six years after I purchased them. I am so impressed with the quality of both seasons of Gold from Notes in Spanish. I was searching for some intermediate/advanced materials for my Spanish when I came across Notes in Spanish and I am loving it!!! It is so helpful to listen to a real life conversation about truly interesting topics that Ben and Marina clearly research very well. The analysis of interesting vocabulary or phrases is also very helpful, as are the worksheets which make it so much easier to catch every word of the conversation. I hope that Ben and Marina will continue to produce such high quality material for Spanish learners! Thank you! 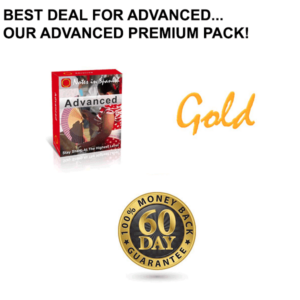 Advanced Premium Pack Special Offer! Advanced 1 & 2, Gold 1 & 2 and NIS Conversations!